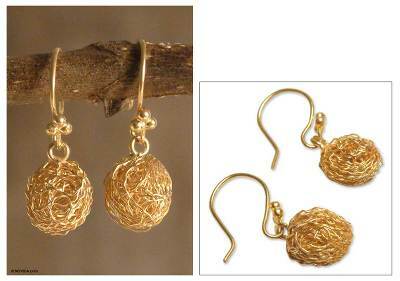 21K Gold Plated Dangle Earrings from Peru, "Cocoons"
Glowing like magical cocoons, these earrings captivate with elegant energy. 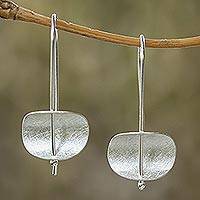 They are crafted by hand with 21k gold plated silver, in a wonderful design by Giuliana Valz-Gen.
"part of gold earrings collection"
it would have been perfect if the round gold would have been another cm in diameter. okay for people who are not very tall.